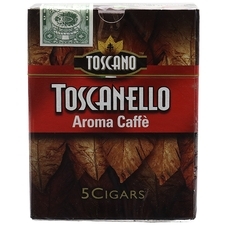 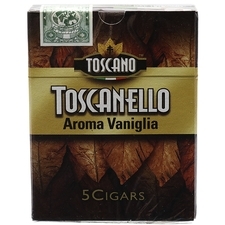 Steeped in legend, Toscano's history dates back to 1815 in Florence, Italy where — so the story goes — a cart full of Kentucky tobacco was caught in a sudden, torrential downpour, completely soaking the entire bundle. 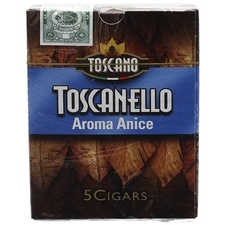 Thinking the supply ruined, the manufacturer decided to dry the leaves in the sun as a last-ditch effort to salvage whatever he could. 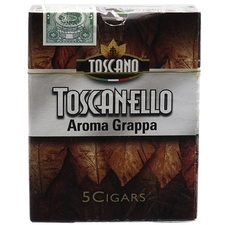 As the leaves dried, the tobacco began to ferment, and the resulting cigars were even better than could have been hoped. 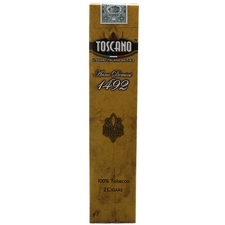 They gained such popularity that in 1818, Ferdinand III, Grand Duke of Tuscany, founded a tobacco factory to produce the cigars, establishing the Toscano brand. 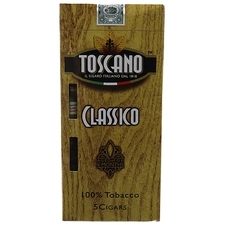 Today, Toscano cigars are still manufactured in Italy and made from Dark-Fired Kentucky tobacco. 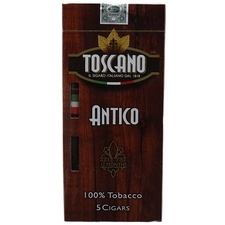 Unlike Caribbean cigars, these sticks are considered "dry cigars" or "cheroots"; they don't need to be stored in a humidor, making them ideal for travel. 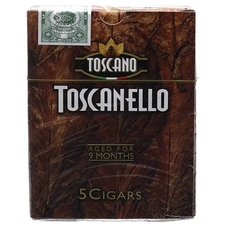 Due to their strength and size, Toscano cigars are typically cut in the middle rather than smoked in their entirety, and Toscano even offers pre-cut sticks in their Toscanello lines. Offered in an elliptical, "Perfecto" size, these dry cigars are full and savory, with earthy notes of smoked wood and sweet chocolate.